Mr. Javed Ahmed Umrani, assumed charge as Consul General of Pakistan, Chicago in September 2018. 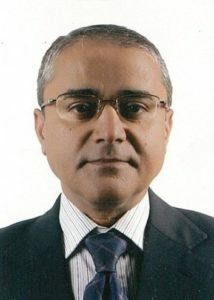 Prior to his current assignment, he served as Deputy Head of Mission at the Embassy of Pakistan, Kathmandu from August 2014 to September 2018. Mr. Umrani, who joined the Foreign Service of Pakistan in 1994, has extensive diplomatic experience spanning over 24 years, both at the Ministry of Foreign Affairs, Islamabad and Pakistan Missions abroad. At Pakistan Missions abroad, he served in various capacities at Buenos Aires, London and Madrid. Born in 1966, he holds a Master’s degree in Business Administration from Nanyang Technological University, Singapore and attended Spanish Language and Cultural studies at University of Salamanca, Spain.